Vehicle Prowl, 300 Callow Avenue: A resident watched surveillance footage of a suspect going through a church van April 5. He reported it April 11. It was unknown if anything was taken. Burglary, 3200 Herren Avenue: A resident came home to find a downstairs exterior door wide open April 12. The resident’s backpack was found strewn in the yard and an XBox was taken from inside. Police took fingerprints but have found no suspects as yet. Civil issue, 2700 Callahan Drive: A resident complained that her neighbor was “banging on the walls,” April 13 and that it has been an issue for three months. Police noted an eviction process was ongoing for the neighbor. Vehicle prowl, 2300 Ninth Street: A motorist reported his truck was rummaged through April 13 but nothing was taken. He told police he had locked it. Burglary, 1200 10th Street: A garage was broken into and a “bunch” of power tools stolen from inside on April 11. Police learned a nearby resident was suspected but did not make any arrests at the time of the report. Vehicle prowl, 2500 15th Street: Two cars were prowled “overnight” April 11. One victim reported nothing stolen from their car; another said $6 in cash and the vehicle registration was taken. Both motorists believe their cars were locked. Police had no suspects at the time of the report. Traffic ticket, 600 Fourth Street: A cab driver was cited for running two stop signs the evening of April 14. Assault, 1300 Callow Avenue: Early April 15, officers responded to an apartment where a suspect had pushed down a man outside and then shoved his way into his ex-girlfriend’s apartment, where he pushed her down twice. He mentioned he was “going to prison forever so this does not matter.” Neither victim was seriously hurt. The suspect, who police said was violating his probation, was arrested after calling the victim from a home on Olympic Avenue. He was arrested and taken to the Kitsap County jail on $50,000 bail. Theft, 1100 16th Street: A woman reported her bike tires, valued at $800, were stolen about 9 a.m. April 15 from the Olympic College parking area. She’d locked the bike to a bike stall, but when she returned, the tires, rim and hardware were gone. Campus security reviewed surveillance video but police did not have a suspect at the time of the report. Agency assist, Bainbridge Island: A Bremerton officer drew a composite sketch April 15 of the suspect in a burglary to a Wing Point Way home on Bainbridge. Theft, 800 McKenzie Avenue: A resident reported that car parts, including a transmission and five wheels sitting in his driveway, were taken April 15. They are valued at $800. Police have no suspects. Car prowl, 4500 Auto Center Way: A man early April 15 tried to steal items from a convenience store before the manager confronted him. An hour later, walked up to a car in the parking lot and asked for the vehicle. The driver declined to give it to him. Later, employees of a local company nearby caught the man trying to prowl a car in their parking lot. Police came and took him to the Kitsap County jail on $30,000 bail. UPDATE: Suspicious incident, 300 Callow Avenue: A man in his 60s entered a local business demanding his “suit of armor” back. Employees inside would not give it to the man, described as intoxicated, and he tried to punch the employees. At some point, a gun fell off the the suspect’s person, and he eventually fell through the business’ front window, breaking it. 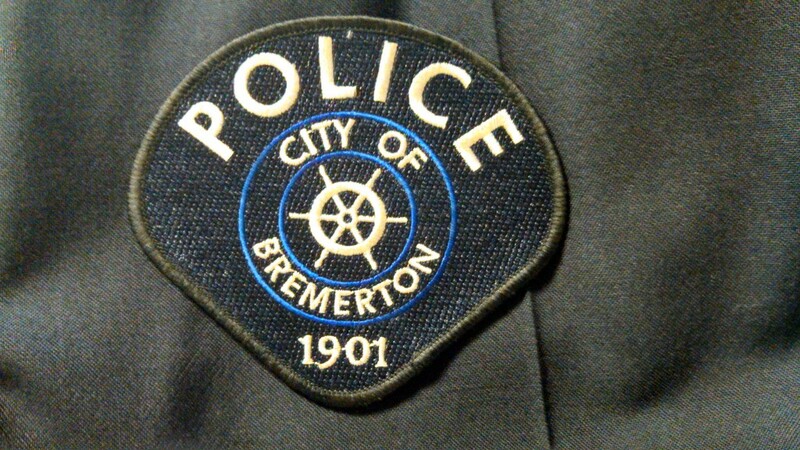 Police took possession of the gun and the man was taken to Naval Hospital Bremerton for treatment. Bike theft, 1500 Spruce Avenue: A man April 17 informed police that his BMX-style “pawn shop junker bike” had been taken from his residence after thieves had cut the cable he had secured it with. There are no suspects in the case. Shoplifting, 4200 Kitsap Way: Police said a man stole two quarts of motor oil from Winco Foods April 18, and then promptly went to a nearby parking lot where he prowled a van. The van’s owner yelled at the apparent their and the suspect asked that he “not call the cops.” The cops were called, and he went to the Kitsap County jail with bail set at $10,000. On April 16, around 5:00-5:30 p.m. there was five BPD squad cars and a fire truck on Callow Ave between 6th and Burwell. As I drove by there were 3 or 4 officers taking reports on the sidewalk. Any idea what was going on? GP– I have an answer. WIll post it in the blotter shortly. GP– I will try to find out. Thanks! I’d cause a raucous too if my armor was taken.